There are several ways you can set a sales tax rate for your project in Ivy. Please note that Ivy is a project-based system, so you determine the tax rate for each project individually. You can add as many sales tax rates as needed here in your account settings. You'll see these sales tax rates as options when creating your project, or while in the "Edit Project" mode. You can only assign one tax rate per project. *Please note that if you change the sales tax rate at any point during the project, the change will only apply to any new documents created - it will not retroactively change the sales tax rate on existing documents. 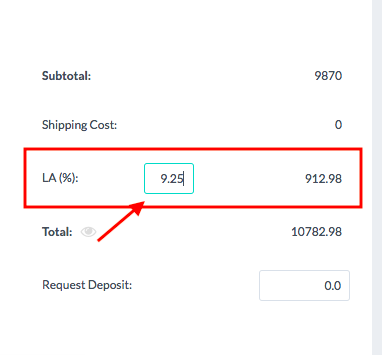 If you need to change the sales tax rate for a specific document in a project (for example, your services have a different tax rate than your products), you can change the tax rate on the document directly while in the "Edit" mode. Once you scroll to the bottom of the document in edit mode, you'll see the project's sales tax name and rate listed beneath the subtotal. If needed, you can adjust the sales tax rate by editing this number.